Reflexology works on the principle that every organ and system of the body has a corresponding point or zone in the feet. 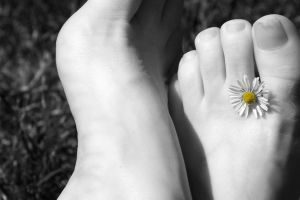 While not claiming to be a miracle cure, the benefits of reflexology can have a powerful healing effect as it allows our bodies to regain their proper balance. Reflexology is a non intrusive complementary health therapy. A reflexologist will work on points of the feet, lower leg or hands; however, reflexology may also be performed on the ears and face.Reflexology should not be used as an alternative to seeking medical advice and we encourage you to tell your doctor that you are receiving reflexology, whatever your motivation. Stress is now believed to be a major cause of physical illness so by reducing tension and improving blood and nerve supply, this complementary therapy can contribute to better overall health. It can also have a dramatic impact on stress levels, and give an improved sense of well being as it reduces tension and stimulates relaxation. It can also help to improve your mood and aid restful sleep. Many clients report sleeping well for many nights after a treatment. On the initial visit, I will go through a confidential consultation with you, including details of your medical history and lifestyle. It is particularly important you let me know which (if any) medication you are taking. If you have a pacemaker, kidney stones or gallstones, high blood pressure, thyroid disease or diabetes or you have a foot injury, phlebitis, thrombosis or blood clots, please have a chat with your doctor before booking a Reflexology session. Please remember that Reflexology is a complementary therapy and although it can have wide reaching health benefits, it is not to be used as a diagnostic tool or as a substitute for visiting your doctor!